Author: Ebershoff, David Set In . . . Description: Faith, I tell them, is a mystery, elusive to many, and never easy to explain. 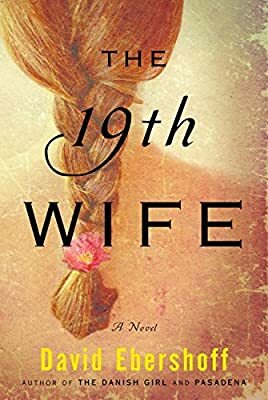 Sweeping and lyrical, spellbinding and unforgettable, David Ebershoff’s The 19th Wife combines epic historical fiction with a modern murder mystery to create a brilliant novel of literary suspense. It is 1875, and Ann Eliza Young has recently separated from her powerful husband, Brigham Young, prophet and leader of the Mormon Church. Expelled and an outcast, Ann Eliza embarks on a crusade to end polygamy in the United States. A rich account of a family’s polygamous history is revealed, including how a young woman became a plural wife. Soon after Ann Eliza’s story begins, a second exquisite narrative unfolds–a tale of murder involving a polygamist family in present-day Utah. Jordan Scott, a young man who was thrown out of his fundamentalist sect years earlier, must reenter the world that cast him aside in order to discover the truth behind his father’s death. And as Ann Eliza’s narrative intertwines with that of Jordan’ s search, readers are pulled deeper into the mysteries of love and faith.